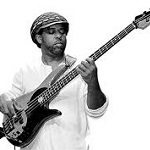 A favorite among bass aficionados, Victor Wooten, combined funk and complex jazz melodies to wow audiences with Bela Fleck and the Flecktones. You may know him from his classic solo on Dave Matthews’ “#41.” He is all a five-time Grammy Award recipient and the first person to win “Bass Player of the Year” from Bass Player magazine more than once, having won it three times. 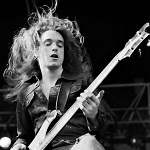 There’s a reason Metallica is one of the best heavy metal bands of all time, and one of the early pieces of that puzzle was Cliff Burton. He helped make “Master of Puppets” an album of legend before tragically passing away at the age of 24 in a motor vehicle crash. 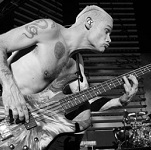 Rolling Stone Magazine selected him as the ninth best bass player in 2011. 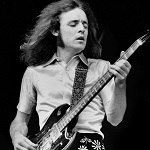 Scottish born musician Jack Bruce was able to run with Eric Clapton and Ginger Baker as part of legendary rock supergroup Cream. That is why it is so it’s easy to see why he has earned mention on this list. Bruce also had a very successful solo career where he not only played bass but also wrote, sang, played piano, cello and guitar. 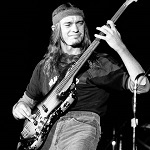 Jaco Pastorius is another lesser-known bassist except among bass circles, where he is universally agreed to be one of the best. His talent made him an object of desire for some of the best acts of the ‘70s as a member of Weather Report. He also worked with Join Mitchell and recorded several solo albums. He is one of only 7 bass players in the Jazz Hall of Fame. Tragically he died in 1987 after a bar fight. 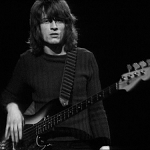 When you think of great bassists, you immediately think of Led Zeppelin and John Paul Jones, who helped make Zeppelin one of the most legendary bands of all time with his creative bass licks. Jones not only excels in bass playing but is also plays guitar, mandolin, violin, cello, and organ, just to name a few. He is currently playing in the band Them Crooke Culture with Dave Grohl and Josh Homme. Slap bass is an art unto itself, and Les Claypool is the master of it, using his talents to help launch bands like Primus and Oysterhead. After the death of Cliff Burton, Les Claypool auditioned for Metallica, but was not offered the job with James Hetfield saying he “was too good” and “should do his own thing”. 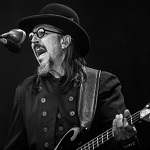 He is still the lead singer and bassist of Primus. Where Geddy Lee belongs in the top five may be up for debate, but everyone agrees Rush’s singing, keyboarding bassist is near the top. 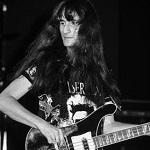 Not only is Geddy Lee (born Gary Lee Weinrib) a talented bassist that has inspired musicians like Les Claypool and Steve Harris, he also was named of the 100 Greatest Heavy Metal Vocalists by Hit Parader magazine. Some are born great bassists and some have great bass playing thrust upon them — like Sir Paul, who gamely took up the bass after Stuart Sutcliffe left and no one wanted to take it on. 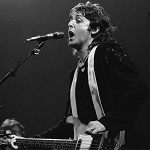 Paul McCartney, a musical savant, probably could have filled any role in The Beatles’ lineup, but his bass-playing unquestionably helped give the group its characteristic sound. It is hard to believe that such a great bass player has such a tiny name, that is until you hear him in action. He’s a multi-faceted bassist who can hang with probably any group, but he fits in perfectly with the Red Hot Chili Peppers. Rolling Stone Magazine has ranked him as the numbers 2 bass player of all time, second only to John Entwistle. 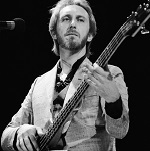 Who knows what The Who would have been without the masterful John Entwistle, whose “My Generation” solo is the stuff of legends. Fortunately, we never had to find out as Entwistle had a masterful career that spanned more than 4 decades. Sadly he passed away in 2002 while on tour with The Who of a heart attack. If you want to be a great bassists, first you have to have a great bass! If you’ve been perusing guitar stores looking for an awesome bass that you can actually afford, come to Record Head. We want to be your used guitar store in the Milwaukee area — and we have lots of musical instruments to choose from at closeout prices. Before you buy a bass guitar in Milwaukee, check out the selection at Record Head at 7045 West Greenfield Ave., West Allis, WI.